Kiwis love travelling and many of us take at least one credit card with us. Choosing the right credit card for overseas adventures is an important step in reducing possible credit card fees. If you′re planning to take a credit card for overseas trips, it pays to do a bit of forward thinking to help minimize additional credit card fees. Thinking about where and how you will use your credit card while on vacation is important to help get maximum benefit and minimum hip pocket pain. The last thing you want to do is come home to credit card fees that could easily have been avoided with a little forethought. How much will ATM fees will cost you overseas? 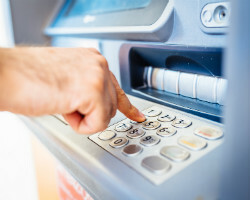 As many overseas travellers would know, foreign ATM fees can be up to $5 a pop, unless you transact through your bank′s preferred global network. Before you leave home, jump online and check out exact locations of your bank′s ATMs in the country you will visit, to avoid being stung by credit card fees. Prior knowledge can save you money and stress; a $5 per transaction fee can quickly add up to a lot of money, even on a short overseas break. So be sure to check any fine print on the use of a credit card for overseas. What are the currency conversion fees on credit cards? 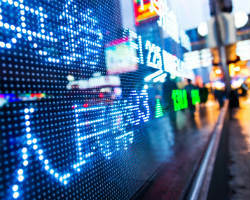 Sometimes known as foreign currency conversion fee, foreign transaction fee or cross currency conversion fee, this is the main culprit in hiking up costs. 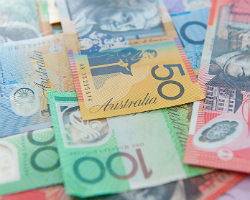 It is charged when a lender converts Australian dollars into a foreign currency so a transaction can take place. Conversion fees can range from 0.80% to 3.65% of the transaction value. The easiest way to avoid this charge is to use a credit card that has no conversion fee. What′s the cost of cash advances using your credit card? Another important thing to keep in mind with a credit card for overseas is the trap of cash advances. Cash advances using your credit card should be avoided at all costs, except maybe in an emergency. Each time you use your credit card to withdraw cash from an ATM, there’s a host of credit card fees you′re likely to incur. It’s all topped off with a massive interest rate that′s charged from day one. There is a way around this – preload money onto your credit card before you leave home so that your account is in surplus. You won’t pay the hefty interest rate – but you will still pay a cash advance fee and local and international ATM operator fees. Some credit card providers offer exchange rates that are very close to the actual spot rate. This is especially the case on the few cards that don’t charge currency conversion fees. It can be very costly to withdraw from an ATM overseas using a credit card. You may be hit with a cash advance fee (potentially around 3%) and interest will begin being charged as soon as you withdraw the money, on top of the ATM fee and the currency conversion fee. Funds are available to use up to your credit limit, which is good for hotel and car hire pre-authorisations, and for emergencies. It is also helpful for large purchases such as airline tickets, hotel bills, car rentals, and restaurant meals. Since funds are available to use up to your credit limit, you may be tempted to spend more than you budgeted for and find yourself paying off your holiday over many months at high interest rates. The concierge services on premium credit cards can help with requests and bookings while you’re away on holiday. Credit card pre-authorisation payments are usually only held on the card balance for a day or a week, compared to up to a month for debit cards and travel money cards. It goes without saying that international trips are expensive so why pay extra on a credit card for overseas than you need to? Whether it′s at the point of sale, the ATM or at the currency exchange office, intelligent travellers can save heaps on fees and charges when they′re overseas. The key is being aware of the credit card fees you can avoid and how to minimise the cost of the ones you can′t.